But I have to consider users who can not use uBITX Manager. It is available on Windows and Linux, but it has not yet been verified on the MAC. I also had to consider users using Stock Firmware. Even if you want to keep using Stock Firmware, upload CEC Firmware only once. 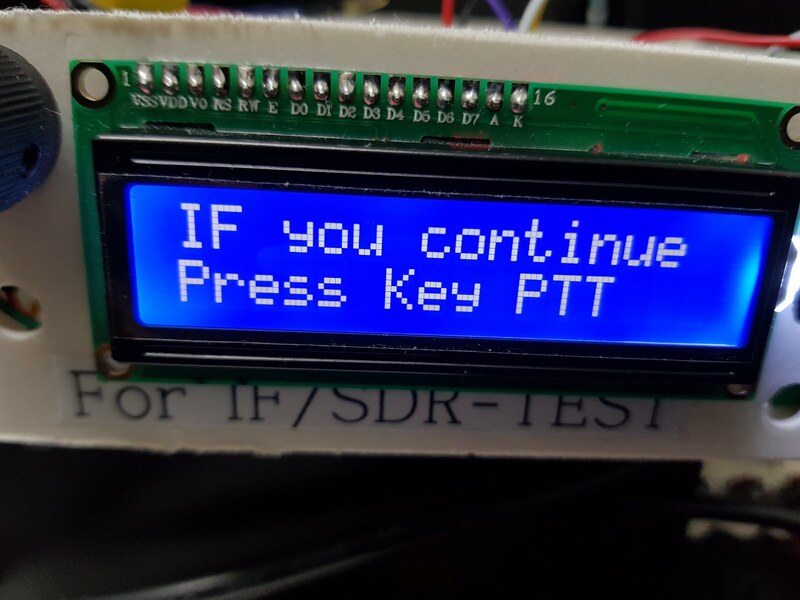 Then upload the Stock Firmware again and use it. However, I highly recommend using the backup function of uBITX Manager. I create various backup files and upload them as needed. Finally, I have also considered users who use CEC Firmware but have not yet used the backup feature. 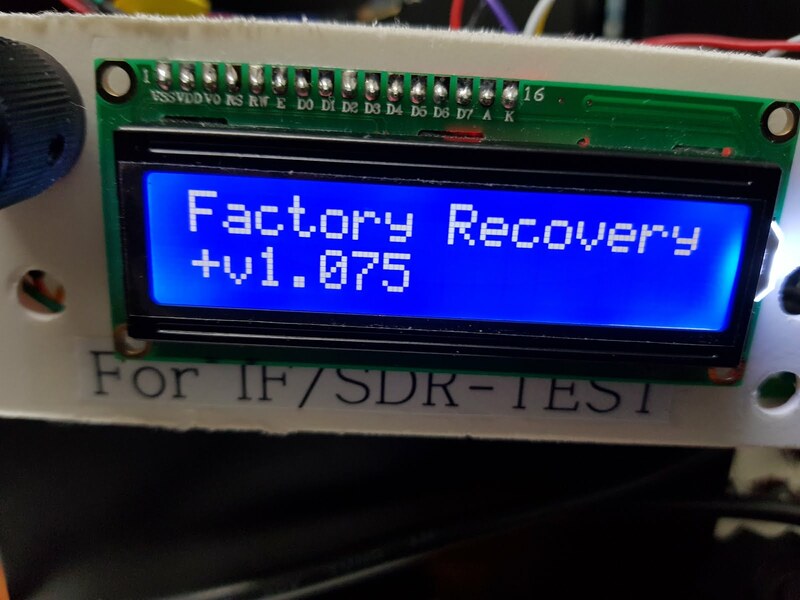 uBITX does not have Factory Recovery mode. uBITX has 0 to 1023 EEProm storage space. but uBITX Stock Firmware uses only addresses from 0 to 31, 32 to 1023 are not used. I implemented the Factory Recovery function using the unused area of the EEProm. CEC Firmeare (Version 1.075 or later) is uploaded to uBITX and checked whether the configuration value is backed up when it is executed for the first time. If it has not been backed up, copied the data in addresses 0-31 of EEProm to 65-92 of EEProm. Once it is backed up, it will not be backed up anymore. Updating the firmware will not restart the backup. 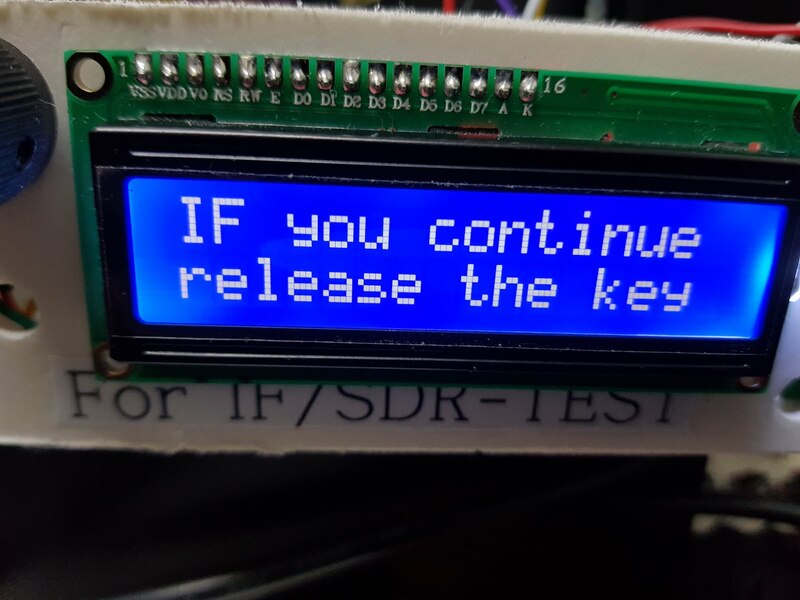 If you purchased uBITX and uploaded the CEC Firmware without performing any calibration, your factory configuration will be safely stored at addresses 65-92. Congratulations You have a true Factory Reset function. For users who have performed the calibration, the current status is backed up to the factory default. if you have a problem with your uBITX with the wrong settings, you can do Factory Reset using the data that was automatically backed up. You just upload the CEC Firmware. As soon as the CEC Firmware is executed, your uBITX critical information is copied to a safe location. The recovery procedure is a bit tricky. It is to prevent uBITX from being factory reset due to accidental switch press. 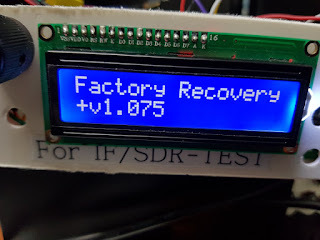 There are two ways to do Factory Recovery. - While pressing the Function Switch, turn on the uBITX. - You will see the article 'FactoryRecovery'. Hold down the switch and wait. 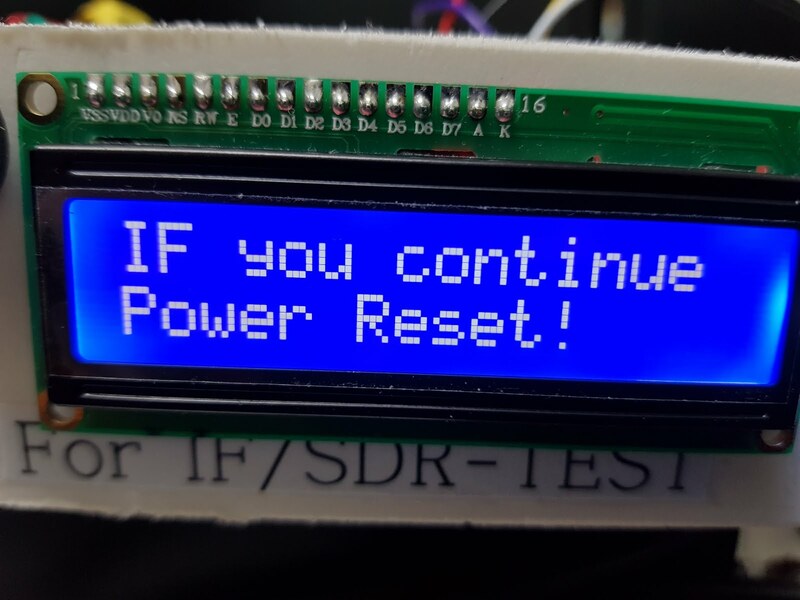 If you release switch, the Factory Recovery mode is canceled. - You will see the article 'IF you continue release the key'. When this letter appears, release the switch. 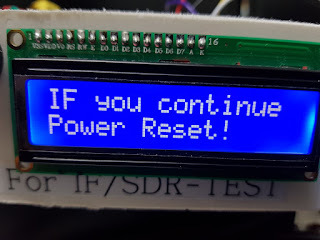 This letter is displayed for 2 seconds and factory reset mode is canceled if the switch is not released for 2 seconds. 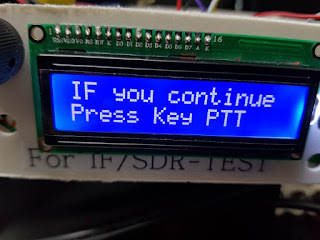 When this letter appears, press the PTT. If uBITX is rebooted, your uBITX will return to normal. 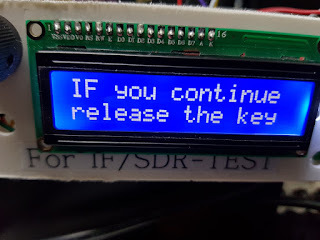 - If uBITX is rebooted, your uBITX will return to normal. But if you can use uBITX Manager rather than this, please use the backup function of uBITX Manager. Below is an video of uBITX's recovery mode experiment. I deliberately set the wrong calibration on uBITX. You can see the symptoms when the BFO is wrong in the video below and the calibration is wrong. If your uBITX shows any of the following symptoms, suspect the BFO and Calibration. However, I highly recommend using the backup function of uBITX Manager. If you are already using uBITX Manager, please use Save to File function. Simply press the Save to File button and your uBITX will be backed up safely. 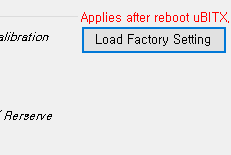 The Factory Recovery function is used when uBITX Manager is not available or when there is no backup data. 2.8" file uploaded to the memory card only gives an error message. Is there any hope of restoring defaults for those of us who mucked about with our uBitx before installing the CEC firmware?